Last week was pretty cray cray–with what was a full week of training and a half marathon PR tacked on at the end! Just an easy run around the hood. This was supposed to be a tempo run but my heart wasn’t in it for some reason, and I decided to move it to the following day. Which ended up being a great idea. I met up with my local run club at 4:40 a.m and nailed this workout. Two miles WU, two miles @7:30, 7:25, two miles CD. The two miles were continuous w/o a RI so I was really happy I was able to keep the pace and even negative split (it was a little fast actually, target pace was 7:40). The not so fun stuff, lol! This was a doozy. I was NOT looking forward to this run because it just seemed…hard, lol!! But I met up with some buddies (again at 4:40 a.m.) and my pacer friend Tomio agreed once more to take on this workout on with me. I struggled a bit with the 3 minuters, but I was pretty euphoric after this run. It was hard but I did it! I stuck to stretching and rolling and gave myself a rest day from strength, lol! Easy 4 miles with my MRTT crew. Elle made a good point (she’s so smart) on my race recap, in that I didn’t have an actual taper leading up to the half marathon and despite that, I was able to PR. I hadn’t thought about that but she was right. I had a full week’s worth of workouts leading up to the race! –Have you benefitted from marathon training and PRd on a race during? Another shout out on your blog! Woo! I’m on a roll. Of course, my smarty-pants speedy friend! My last 2 marathons went poorly, BUT I did get a 5k PR (took 5 years to break) AND a half PR out of the training. That was nice. Also, I love your pic too. It’s a good one! Your training showed you you have a lot in you! I can’t wait for your breakthrough marathon! The progress you’ve made is so inspiring and awesome, Helly! How long do you usually prepare for a marathon? Thank you!! It’s been a long journey to get to where I’m at now. I usually do a full training cycle which is about 15-18 weeks. 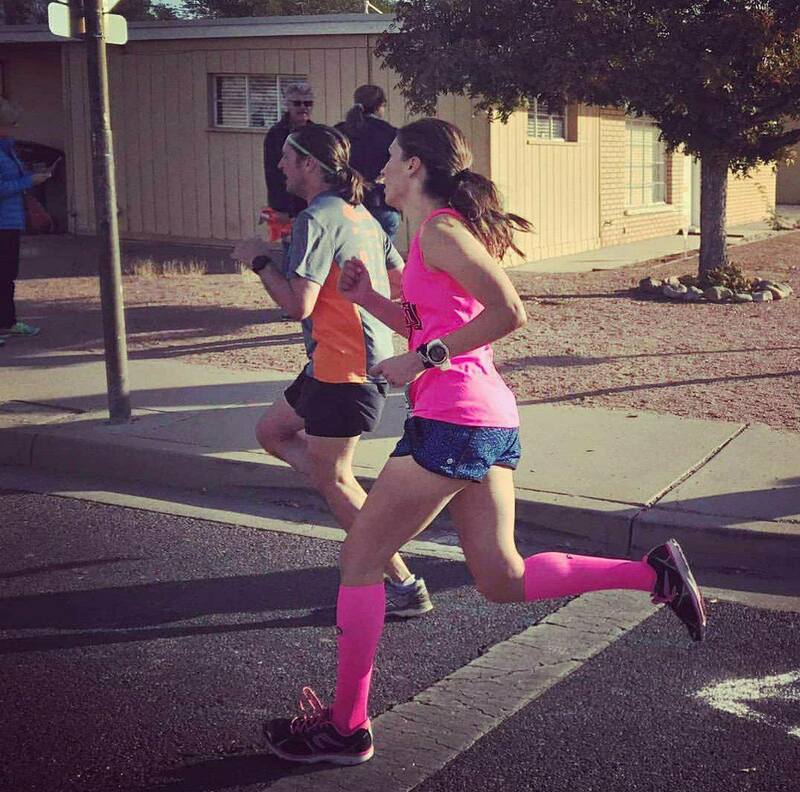 ← 2017 Scottsdale Half Marathon–PR! !